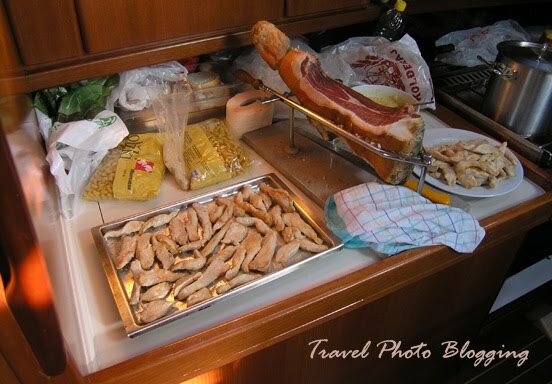 Travel Photo Blogging: What to cook on a sailing trip? When we go sailing we take care of cooking by ourselves. Actually one of the crew members is usually chosen as Master Chef and the menu is then mostly up to him. Our sailing crew-list usually consists of friends who know each other pretty well and are not too picky when food is concerned. This means the menu mostly consists of simple dishes, that do not require much preparation. Our scope is on other things... well, mostly it is drinking. This simply means we usually eat a lot of pasta and similar simple dishes. However, if there is a chance for a gourmet pleasure, we don't think twice to take it. When at sea there is a good chance you come across some tasty fish. Let us just say we got our hands on some really tasty fish this time, but more about that in my next post. Well let me get back to those simple dishes... We usually don't have a problem with preparation and cleaning the dishes but I know quite a few that think even little cooking is too much cooking. I have a two word tip for all the lazy chefs out there: Microwave Owen. Yes, that's right. A microwave oven usually isn't on the standard equipment list for various types of charter sailing boats. I guess that should not be a problem - you can always bring your own. With a right list of microwave-ready dishes all of you lazy sailing chefs out there will have a bit easier time preparing food and more time for other activities. Before you get too excited... there is actually a reason why they don't put microwave ovens on sailing boats as standard equipment. When at sea there is only 12V electric current available on board (standard 220V current is available only when plugged-in to an outside source). This can also be easily resolved - simply bring a 12V to 220V converter. Be careful that you do not empty the batteries completely (after the meal you might need to start the engine again). As far as I am concerned, I vote for the good old-fashioned way. 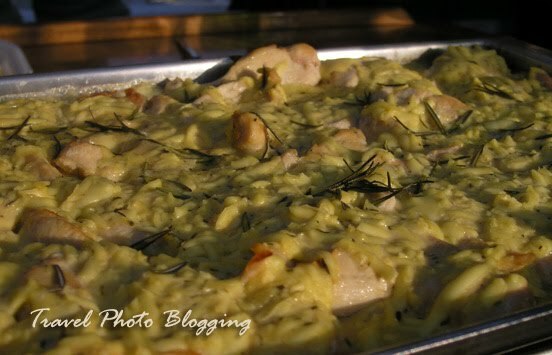 Chicken in creamy sauce, cooked au gratin and seasoned with some fresh picked Mediterranean rosemary looks extra-delicious on those photos, doesn't it?